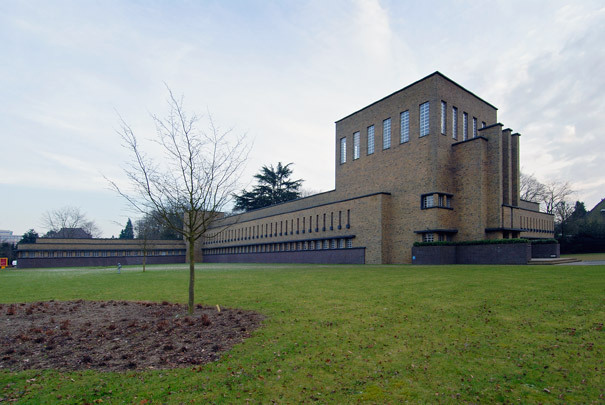 Christinus Bonifacius van der Tak jr.
As City Architect to Amersfoort, Van der Tak exerted a major influence on the character of that city in the 1930s. He built many civic buildings, passed judgment on schemes by fellow architects and did much to steer local urban planning. The monumental grammar school is the most significant public building he himself designed during this period. The high-powered plasticity of its cubic volumes, the horizontal and vertical accents, the use of yellow brick and long horizontal steel-framed window bands makes comparison with Dudok inevitable, but Frank Lloyd Wright and the Modern Movement are in there too.